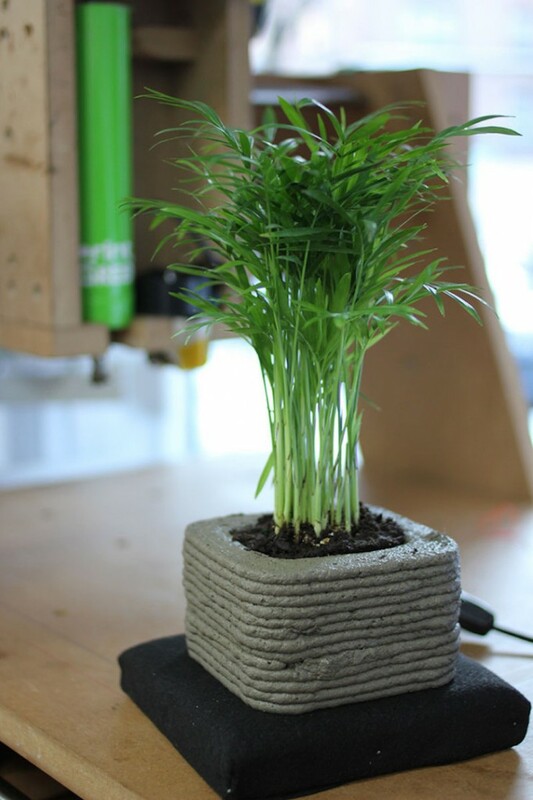 If you weren’t impressed by the Origami pot that grows with your plant, you’re bound to be inspired by this invention capable of producing living gardens. 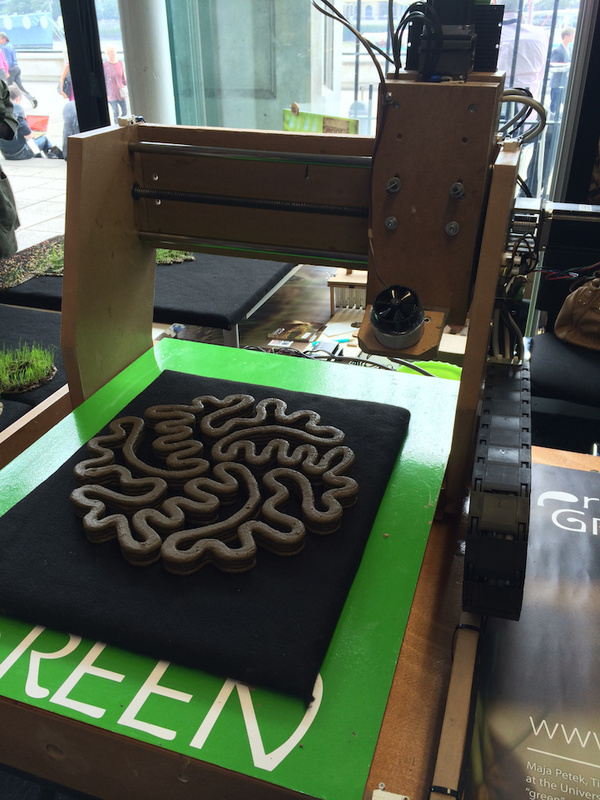 The innovation is capable of producing living prints by printing customized objects in a variety of sizes and forms. 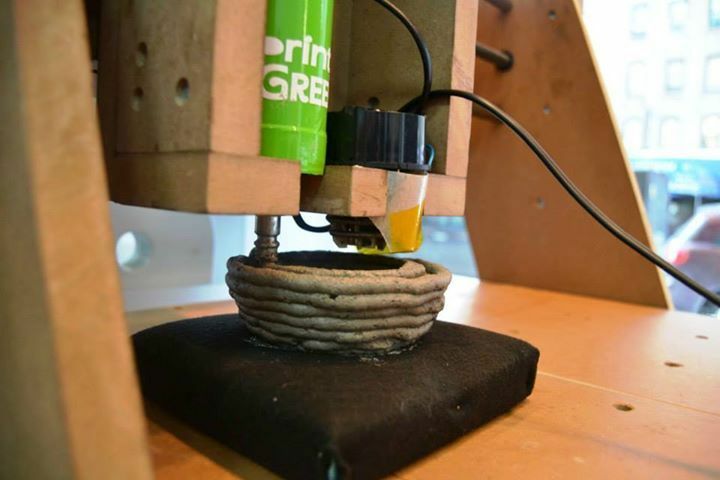 PrintGREEN was created by students Maja Petek, Tina Zidanšek, Urška Skaza, Danica Rženičnik and Simon Tržan, with help from their mentor Dušan Zidar, at the University of Maribor in Slovenia. The team’s goal is to unite art, technology, and nature, creatively producing living designs with the help of technology. 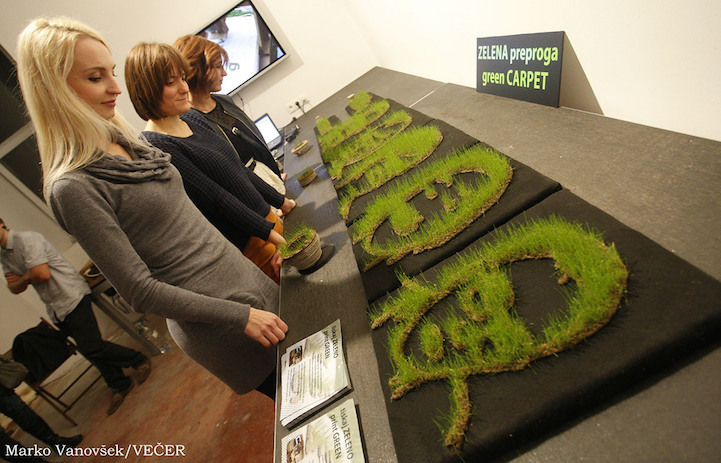 The eco-friendly “ink” is a combination of soil, seeds, and water which can be designed to print in any shape or letter. 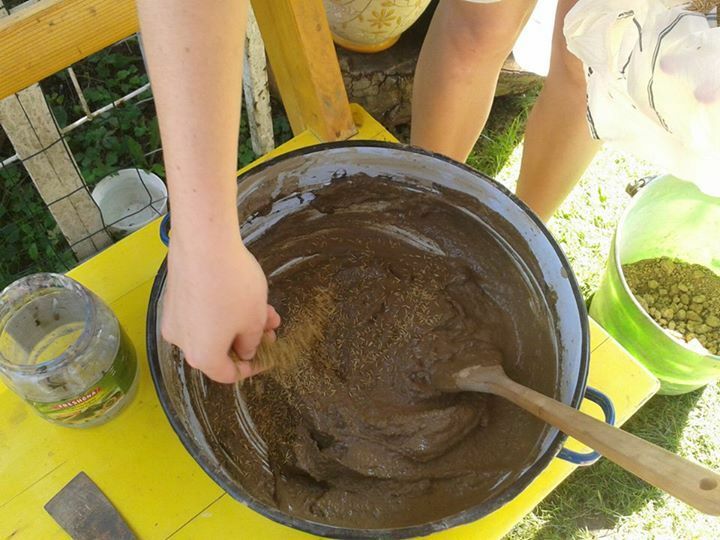 Once the ink dries, the muddy mixture holds its form and begins to sprout grass from the organic material. 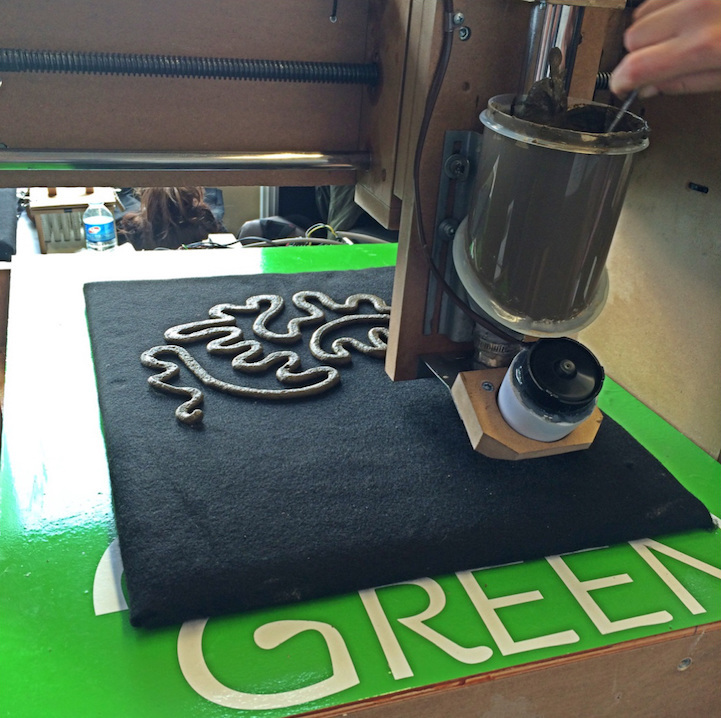 In addition, PrintGREEN is capable of printing along the z-axis to produce bowls and other sculptural shapes. While the objects don’t contain seeds in their structures, they do incorporate a top layer of grass to grow similar to a potted planter. 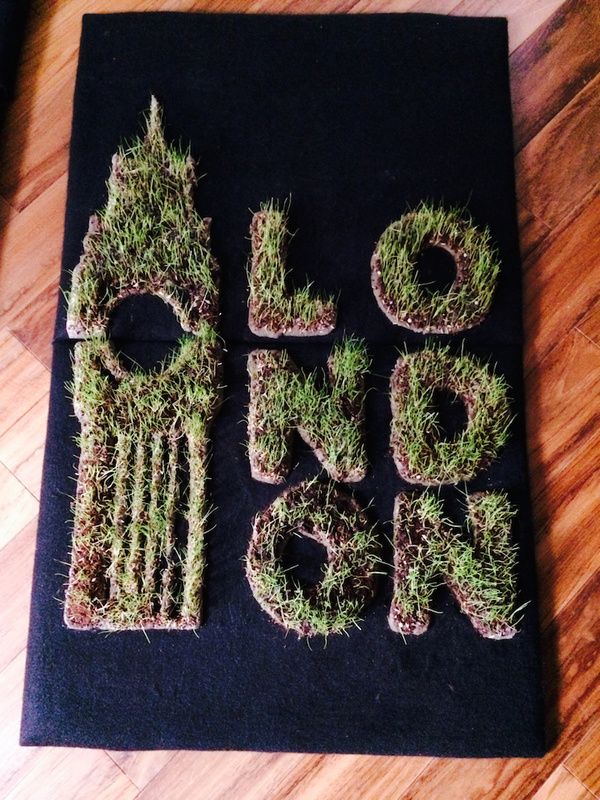 Check out PrintGREEN’s website here, and support their Facebook page here. Comment your thoughts on this awesome innovation below, and be sure to share this article! 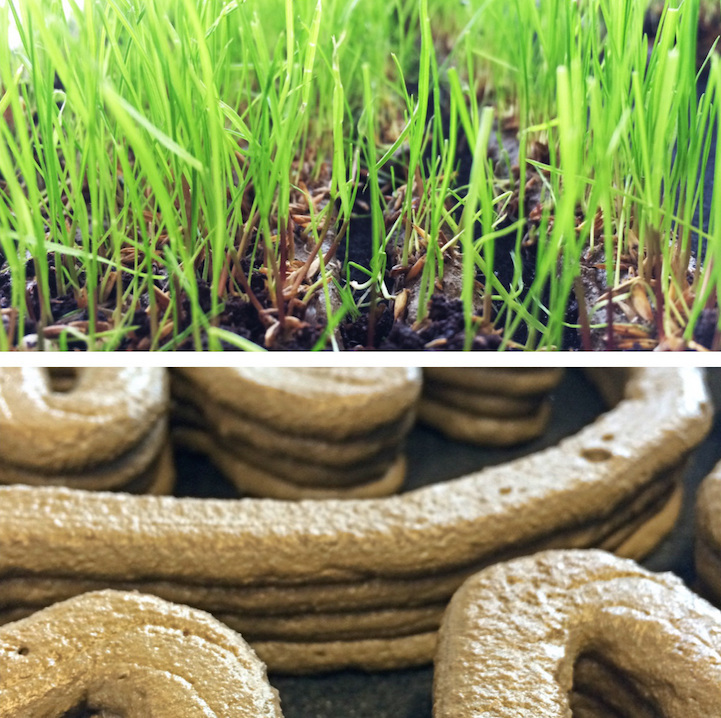 This article (Eco-Friendly 3D Printer Prints LIVING Gardens From Organic Ink) is free and open source. You have permission to republish this article under a Creative Commons license with attribution to the author and TrueActivist.com.